The fun Arena Premium, the compact, multi-purpose sports ground! 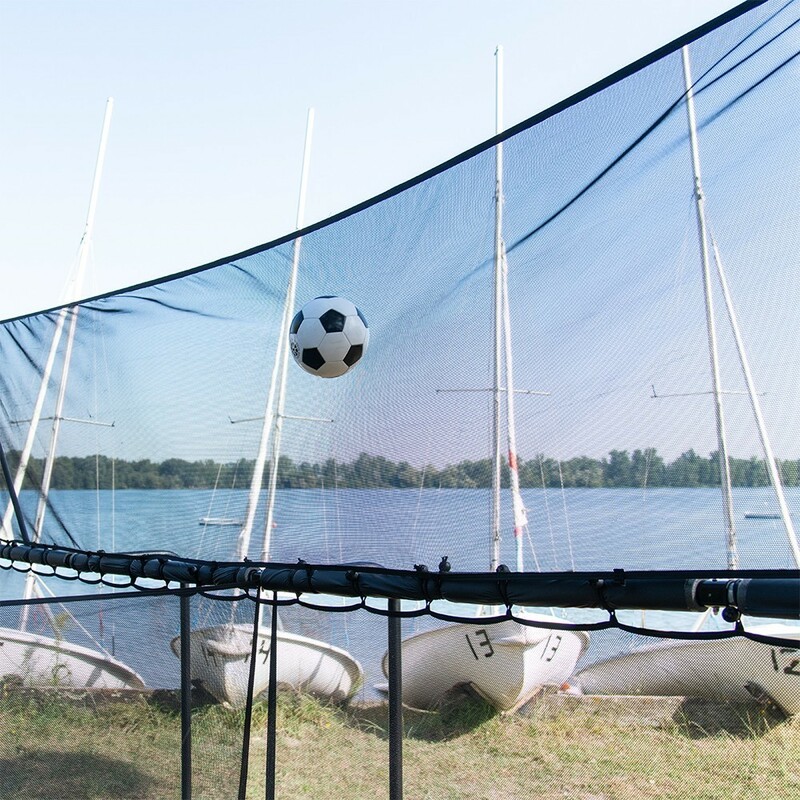 In the event of public use, the textile nets are not under warranty. A new game concept for the whole family that fits right in the back garden! The Multisports sports ground provides users with a place to play 5 different sports: football, basketball, tennis, handball, and volleyball. This multi-purpose sports ground is easily adaptable to allow players to play the game of their choice. In the blink of an eye you can install a central net at any given height, install a mini-football field to practice your precision goal kicks, and so on. 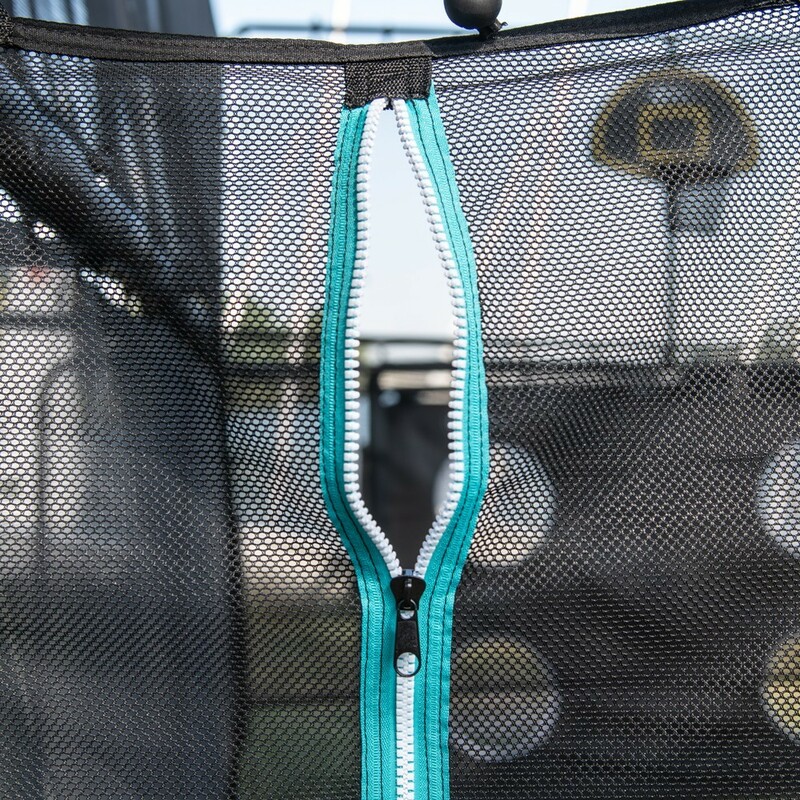 The Fun Arena Premium is surrounded by rebound nets, similar to our tchoukball nets, allowing you to send / receive your balls and (why not!) invent brand new games! 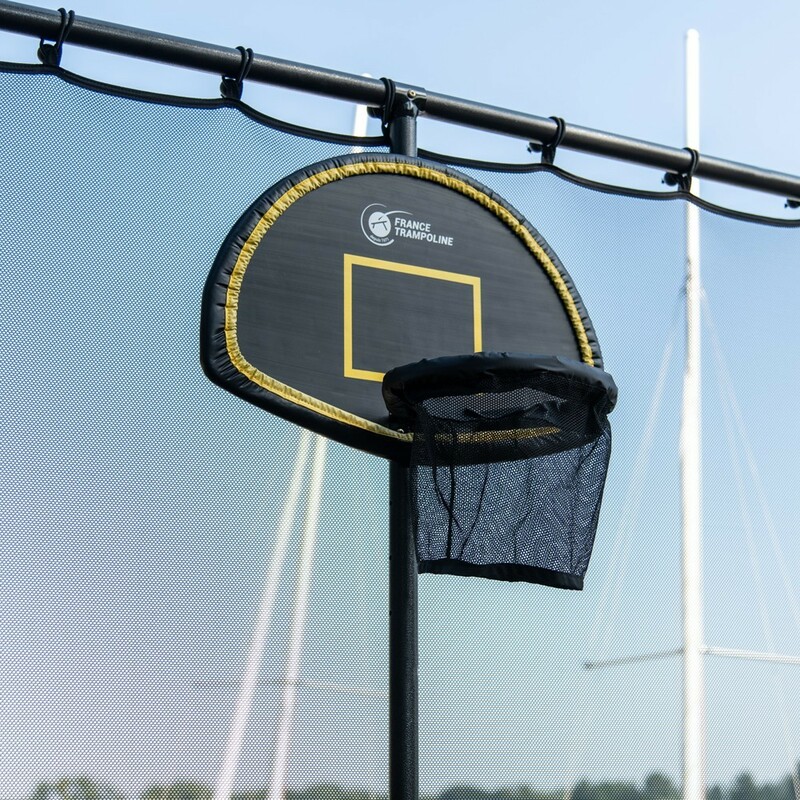 The Fun Arena Premium pack includes: a complete set of nets – 2 zipped entrances – 2 Premium football goal nets – 2 mini-football targets – 2 basketball hoops. This new play area is suitable for children aged 3 years and older.